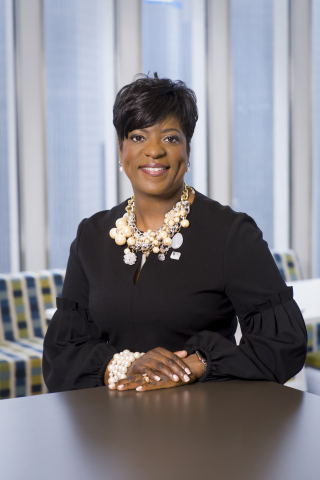 "It’s important for us to report our annual progress under the Commitment to the communities we serve"
CINCINNATI--(BUSINESS WIRE)--Fifth Third Bancorp today announced continued strong progress against its five-year Community Commitment. 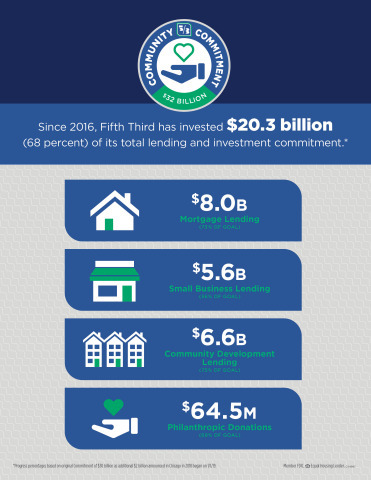 As of December 31, 2018, the Bank had delivered $20.3 billion under the plan, which is 68 percent* of the total commitment and puts Fifth Third on pace to deliver the Commitment ahead of its scheduled completion in 2020. 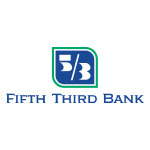 Fifth Third Bancorp is a diversified financial services company headquartered in Cincinnati, Ohio and the indirect parent company of Fifth Third Bank, an Ohio-chartered bank. 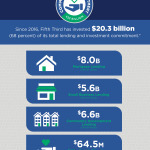 As of December 31, 2018, Fifth Third had $146 billion in assets and operated 1,121 full-service Banking Centers and 2,419 ATMs with Fifth Third branding in Ohio, Kentucky, Indiana, Michigan, Illinois, Florida, Tennessee, West Virginia, Georgia and North Carolina. In total, Fifth Third provides its customers with access to approximately 52,000 fee-free ATMs across the United States. 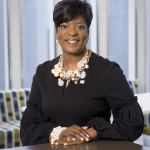 Fifth Third operates four main businesses: Commercial Banking, Branch Banking, Consumer Lending and Wealth & Asset Management. Fifth Third is among the largest money managers in the Midwest and, as of December 31, 2018, had $356 billion in assets under care, of which it managed $37 billion for individuals, corporations and not-for-profit organizations through its Trust and Registered Investment Advisory businesses. Investor information and press releases can be viewed at www.53.com . Fifth Third’s common stock is traded on the Nasdaq® Global Select Market under the symbol “FITB.” Fifth Third Bank was established in 1858. Deposit and Credit products are offered by Fifth Third Bank. Member FDIC. 1To be eligible for the down payment assistance of 3% of the home's purchase price, up to $3,600, the property must be in one of the following eligible states: MI, IN, IL, KY, TN, OH, WV, NC, GA, FL and either located in a low Income Census Tract or borrower must meet the low income limit threshold based on the qualifying income per FFIEC website. Down payment assistance may be taxable as income and reported to the IRS. Consult your tax advisor. Not available with all loan products. Loans are subject to credit review and approval. Fifth Third Bank, 38 Fountain Square Plaza, Cincinnati, OH 45263, NMLS# 403245, Equal Housing Lender.